Summer is here and the risk of a fire in your scrap feed stock and fluff piles go up substantially. Summer brings an uptick in yard flow and several holiday weekends. Many of us have received that call in the middle of the night that you have a fire emergency at the yard. We all need to remain vigilant and not let our guard down. Here are some simple rules to minimize the chances of that call. Keep your scrap piles at least twenty feet away from both fixed and mobile processing equipment. Infeed conveyors, loaders, cranes, need clear space from scrap storage piles. Space means access and time in the event of a fire. Don’t accumulate large feed stock piles. Production schedules that keep intake to a minimum are best. If you are down for extended maintenance, add fire breaks and gaps to segregate large piles. Once you shred it, the problem is gone. Regular housekeeping is needed at the shredder. Excessive material buildup becomes a problem when contaminants hit the piles. Consider this scenario. Scrap builds up between your shredder and the motor room over several weeks. An auto slips by inspectors with a full fuel tank and it ruptures as it slides down the feed chute. Flammable liquid runs out of the mill and into that pile of build-up right where your important machinery is located. 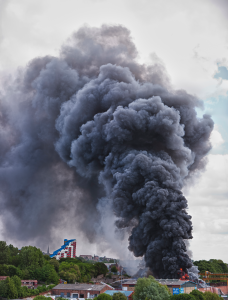 Your bearings, hydraulic lines, drive shafts, control wiring, or your mill motor won’t be the same if that pile ignites. Clear what does not belong on a weekly rotation. 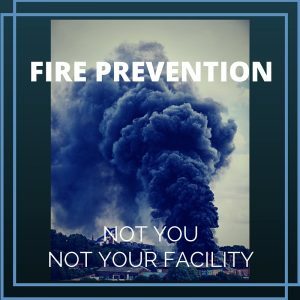 Make sure your fire control systems are in place, hoses and nozzles are in good condition, all fire extinguishers checked monthly, and missing items replaced promptly. Review with your inspectors hazardous materials which can start a fire such as batteries, gas tanks, propane bottles, and other ignition sources. While 99% of infeed scrap is remediated and prepared for shredder, some things get through the inspection process. Sometimes dressing up the piles of infeed materials received earlier that day can trigger a problem load lurking in the day’s intake. Make sure all shreds have been run off the conveyor belts and wet down the conveyors belts and area around the shredder. Be sure to look closely at all of the fluff piles for signs of hot spots. Make it a priority to have the fluff piles at minimum levels especially before an extended holiday shutdown. Lastly, have a supervisor walk around the processing area prior to shutdown. An early morning inspection can help set expectations for the end of day shut down walk when your team is wrapping up for a holiday weekend. Have a safe production summer! !